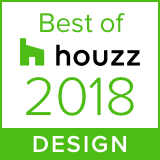 Over the last three decades, Hebert Design/Build has delivered what homeowners like you really want: commitment to quality, passion for detail, and knowledge of the best building practices for our unique coastal and inland environments. We have developed an outstanding reputation for building custom homes, additions/second floors, kitchen remodeling. and bath renovations that offer superior design, functionality, and beauty. Whether you enjoy a home with traditional surroundings or eclectic decor, we can create an extraordinary home or living space that is specifically designed to accommodate your unique lifestyle.